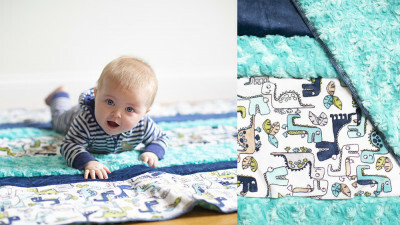 Add a punch to any party or room decor by creating a fun backdrop or wall hanging using your Baby Lock serger! 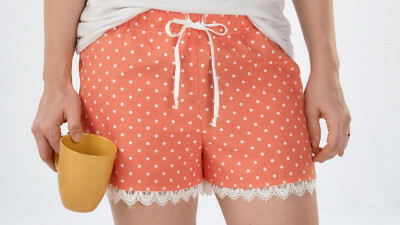 It is easy to make using some colorful thread and pre-cut strips of fabric. Add a few whimsical flowers using the differential feed and elastic foot add some pizazz to this project, which would look great for a first birthday or a shower! 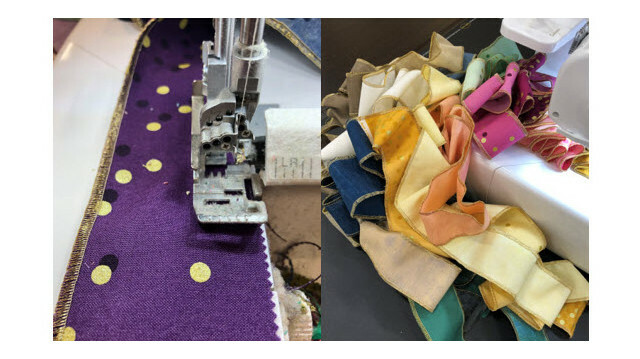 FABRIC STRIPS: Set-up the Serger for a 3-thread overlock wide stitch with gold thread in the upper and lower loopers. Set the stitch width to the 7.5 and the stitch length to 3-4. 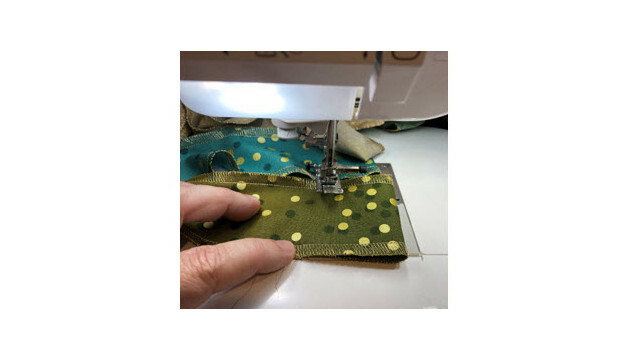 Change your machine to a try different overlock stitches. 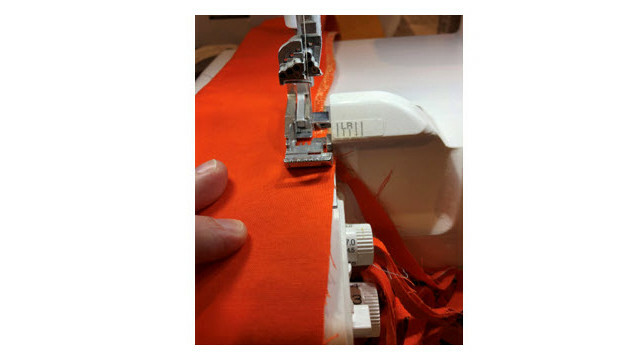 Set-up the Serger for a narrow hem with a stitch length of 2. Serge along the edges of the remaining fabric strips. Apply Fray Check or Block to the ends and once dried, trim the excess serger threads. 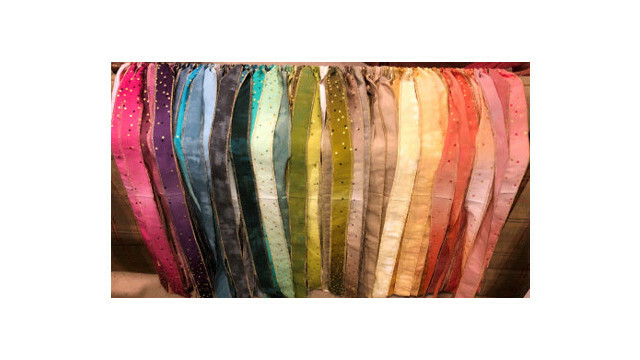 Make a casing on each of the fabric strips by turning over the edge of the fabrics over about 2”. Stitch along the tops of each fabric to create a casing. Press any creases out of the fabric strips (if needed). 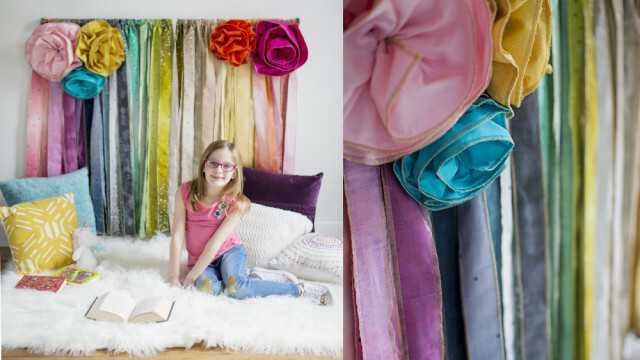 Slide the folded edges of the fabric strips onto the curtain rod in the color order of choice. FABRIC FLOWERS: Cut 2 strips by the width of the fabric. 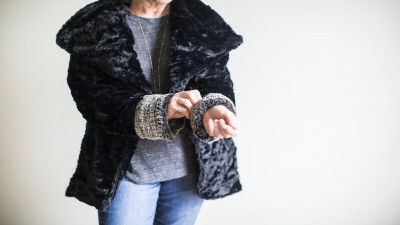 Sew the two strips together to make one long strip. Large flower=12 in strips, Medium flower =10 in strips, Small flower= 8 in strip. Fuse the stabilizer to one half of fabric and press the fabric in half with wrong sides together. Pin to hold in place. Along the raw edge side of the folded fabric cut a waved edge to simulate a flowered edge. 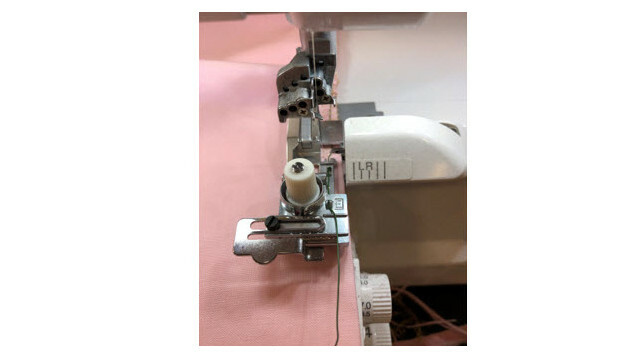 Set-up the Serger for a 3-thread overlock wide stitch with gold thread in the upper and lower loopers. Set the stitch width to the 7.5 and the stitch length to 2-3. Serge along the curved edge of the flowers and the two shorter ends. Adjust the stitch length to be 4 and the Differential feed to 2. Cut a piece of the 12 gauge wire the length of the fabric. Insert the wire into guides on the left side of the foot. Lay the folded, non-serged edge of the flower under the foot. Serge along the edge ensuring that the wire is encased in the serged stitches. 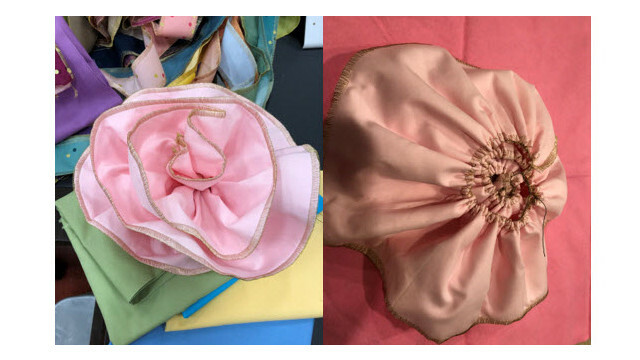 Form the gathered fabric into a flower shape. 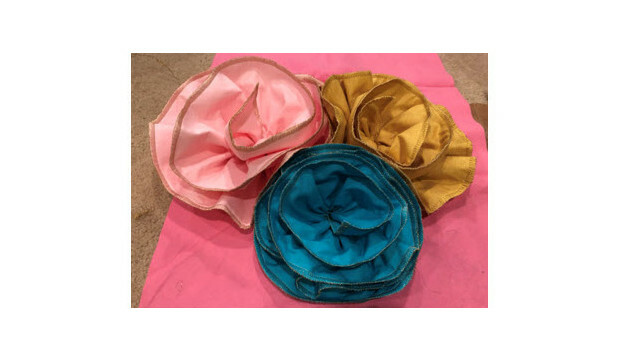 Either hand-sew or hot glue the gathered fabric to secure the flower shape. These can be attached to a piece of felt and pinned or secured to the fabric strips to add decoration to the fabric banner. Add a stiff stabilizer if needed to prop up your flowers. 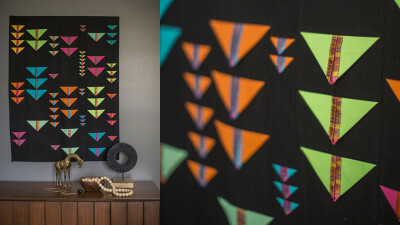 Hang your banner to create wall art or as a fun fabric backdrop.